A safety leader that prides himself on the ability to communicate with others, Josue Zamarron’s background gives him a unique ability to lead widespread safety improvements. Currently, Zamarron serves as Project Safety Manager for Kiewit Power. Described as a safety champion, and leader, Zamarron is the perfect person to share his story, and secrets to communicating with employees from all backgrounds. I was in the military for a few years. When I was leaving, I didn’t really know what to do. I always wanted to be a cop, but the injuries I sustained in the force wouldn’t let me do it. A family member of mine was involved in safety and mentioned that I should pursue a position in that field. Since a few of my family members had just been injured in an underground incident, I was interested in pursuing it. Communication with all employees, across all levels, in the ways that they understand. Construction has a tremendously diverse workforce. That’s a really good thing, but it has some challenges. At times, it can be tough for different groups to work together, or to understand things the same way. That can be due to a variety of things, but I primarily see it as a language barrier. It’s important for us as safety leaders to help anyone that may need additional explanation for whatever reason. We’re only as strong as the weakest link in our chain, so we need to make sure the entire chain is as strong as possible. When my family member was injured, they didn’t speak english, and had no idea what to do. It wrecked them, and impacted every person in our family. As I grew older and learned more about the safety profession, I realized that my family-member didn’t have any understanding about the importance of safety at work. Because they couldn’t speak english, they never had the chance to really learn the necessary material or to ask questions. I’ve come to find that many people simply shake their heads to get through training without understanding or absorbing the information. I now make it my mission to ensure that every person on our team is a safety advocate. That everyone has someone that loves them. And those loved ones depend on that person coming home. The burden of an injury doesn’t just fall on the person injured – it falls on their loved ones too. Don’t just be safe for yourself, but be safe for your family too. I have an ability to speak with anyone regardless of their background. Given my family history, I made it priority to understand the different barriers present in the workplace whether it be financial, educational, cultural, or language. I make it a priority to ensure that EVERYONE understands the importance of safety and how to be safe in the workplace. 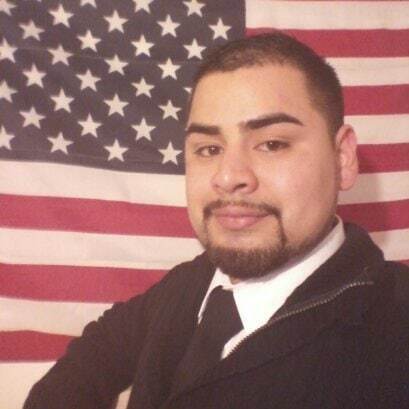 Josue – Thank you for your important perspective and your service.